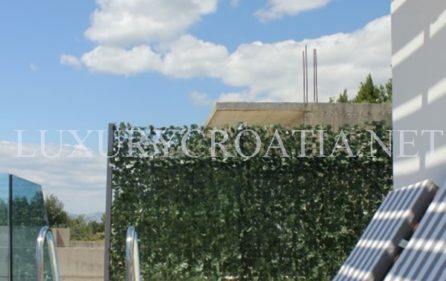 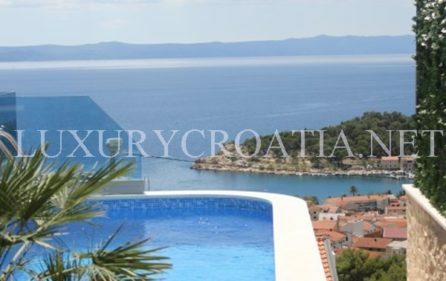 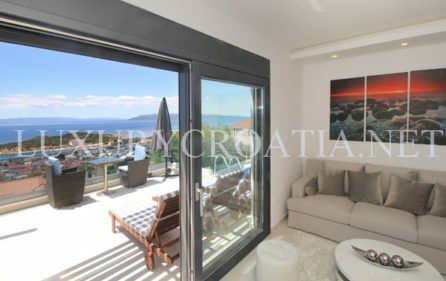 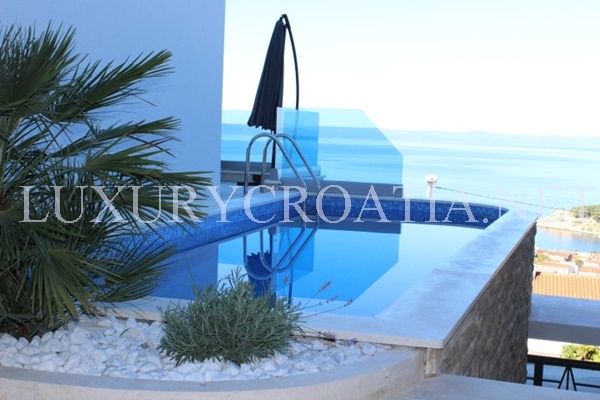 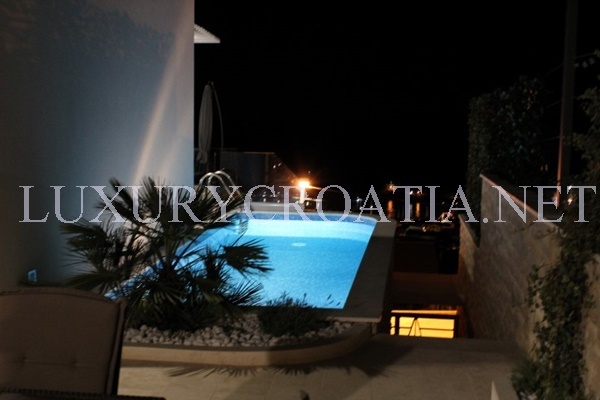 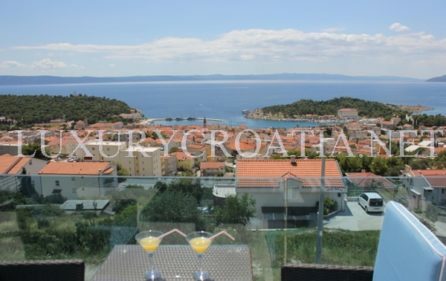 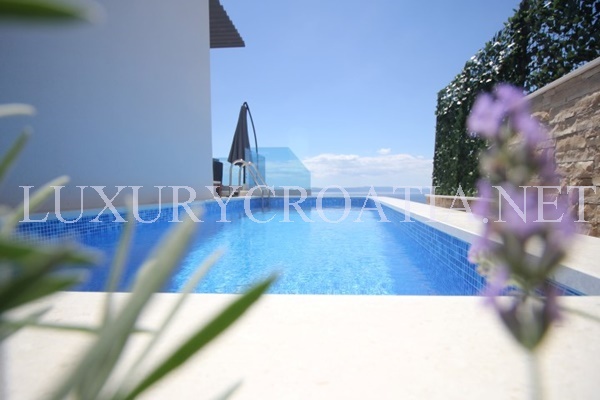 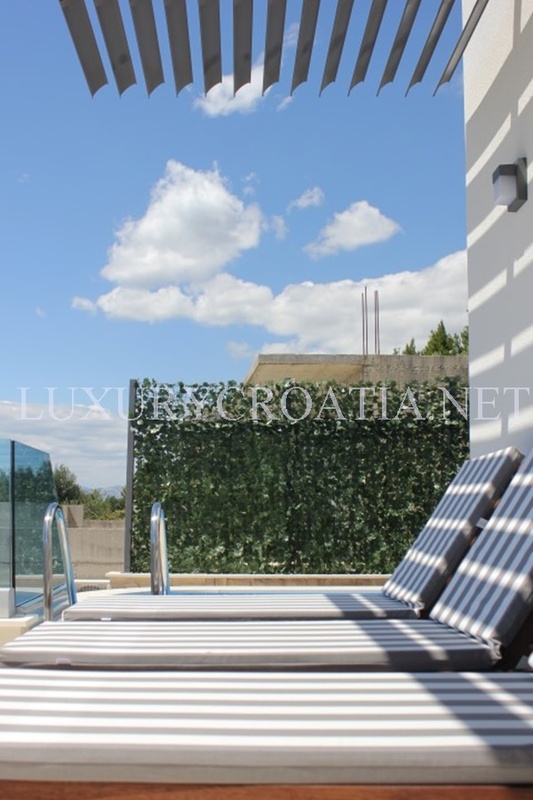 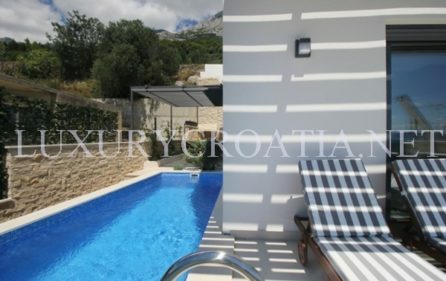 Modern sea view pool villa for rent in Makarska is a 4 star villa, a part of a larger complex of villas that is located in Dalmatia. 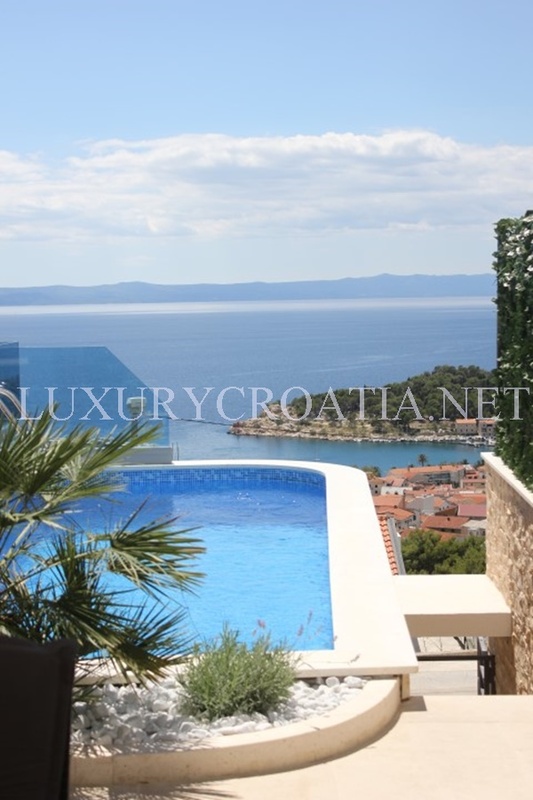 This part of the villa has 150m2. 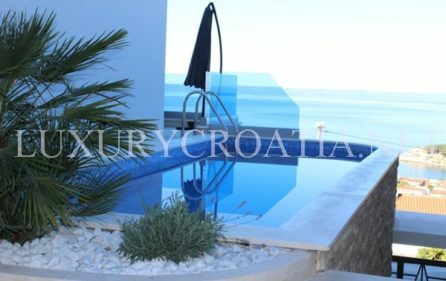 Outside of this modern sea view villa you can find a heated pool next to it, there is an outside dining area with a fireplace. 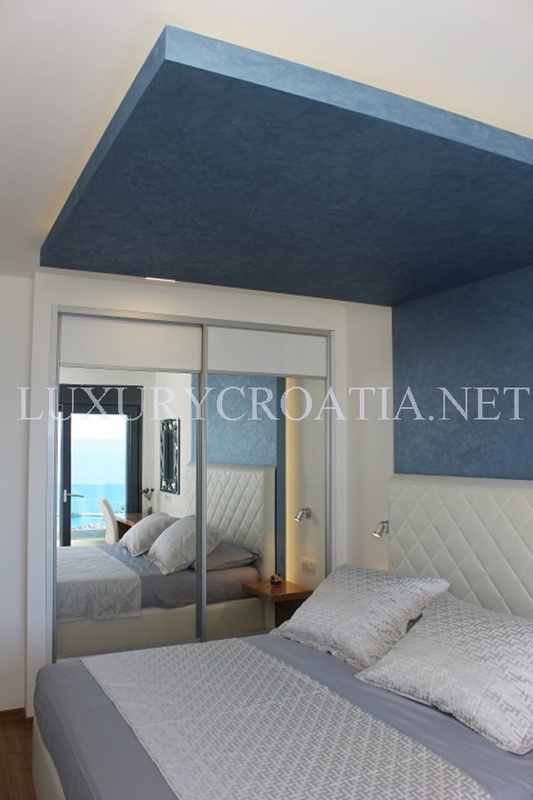 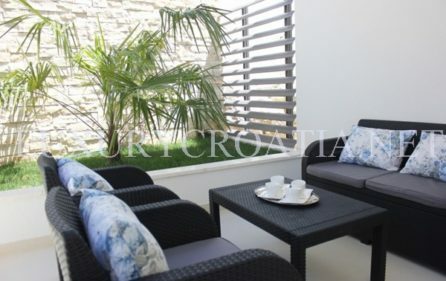 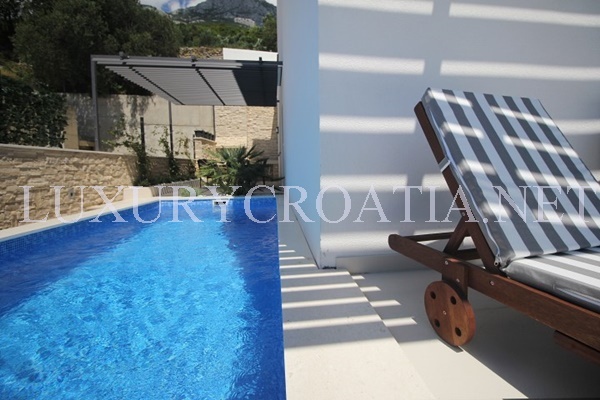 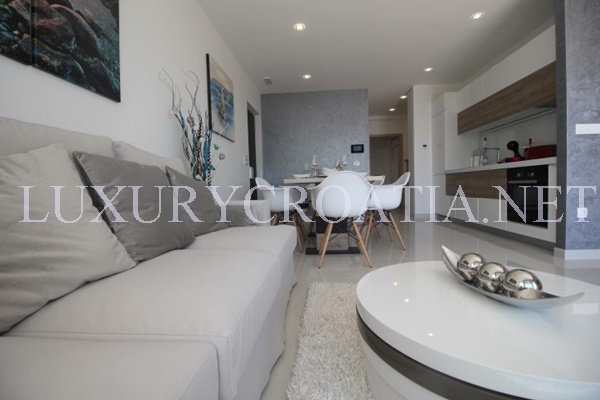 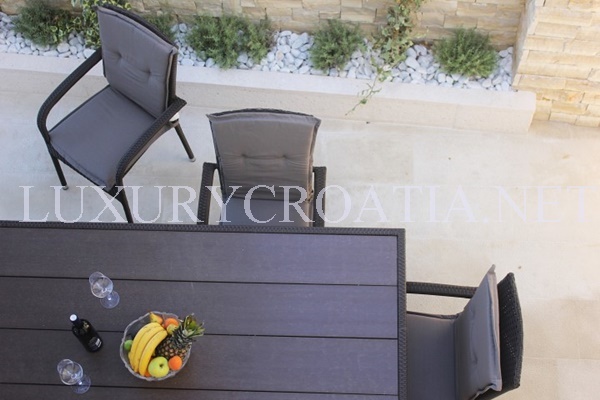 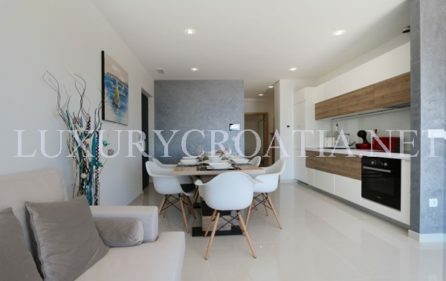 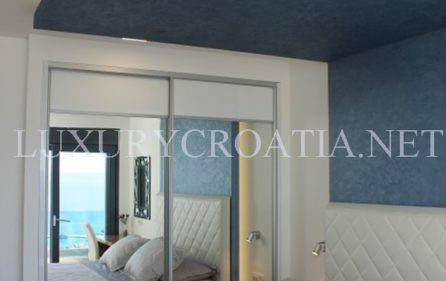 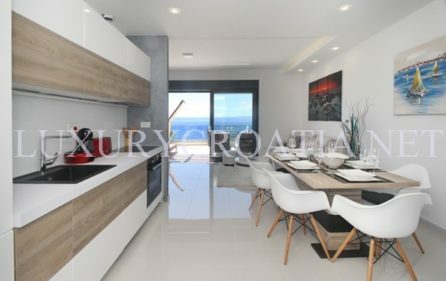 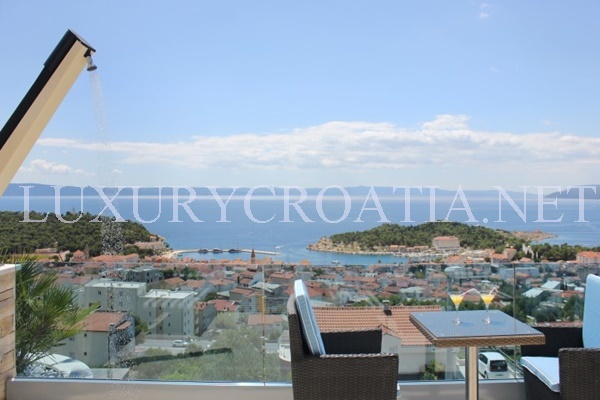 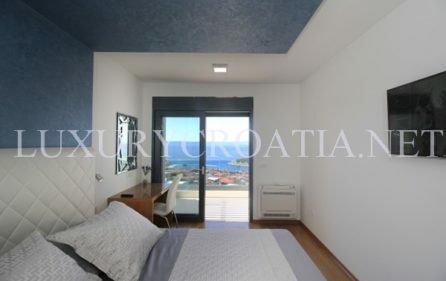 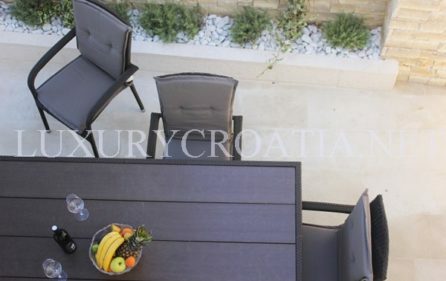 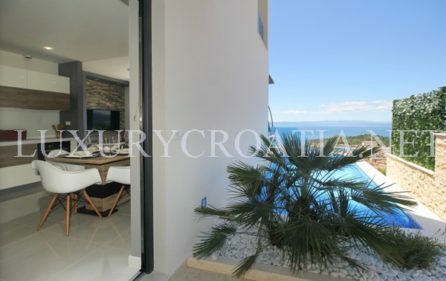 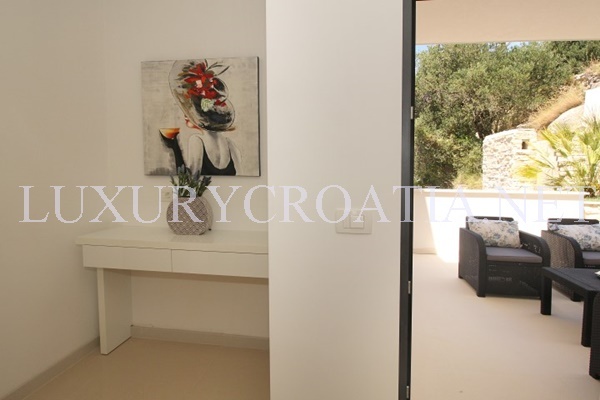 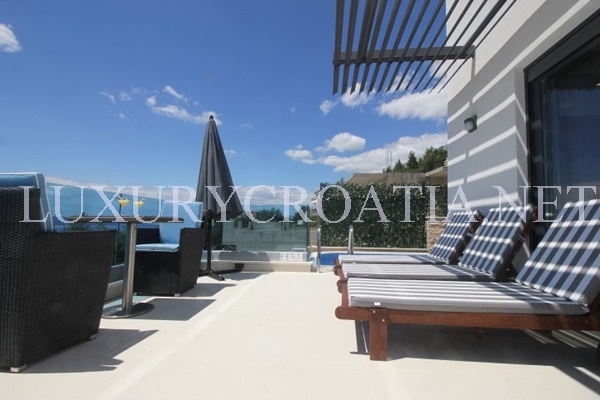 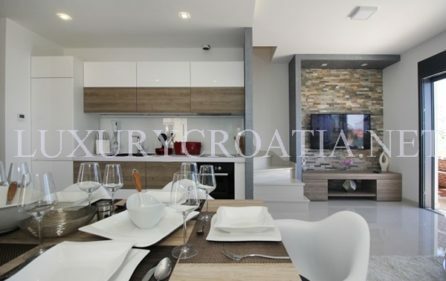 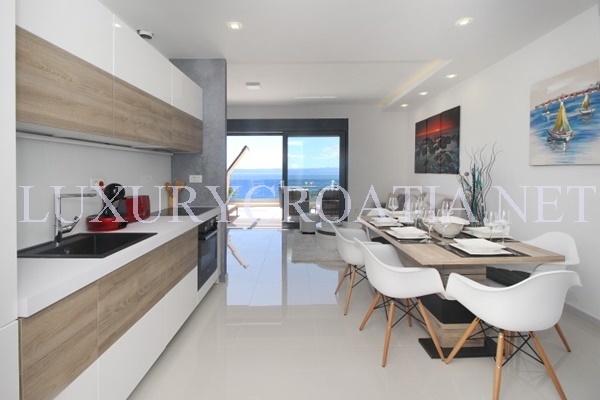 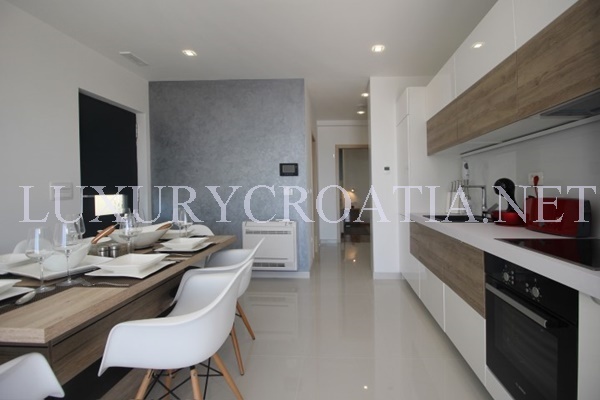 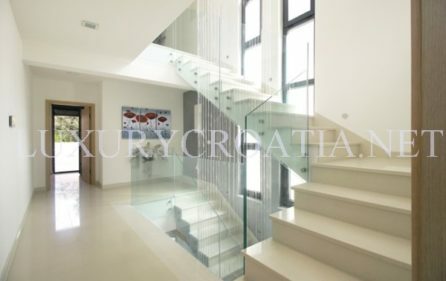 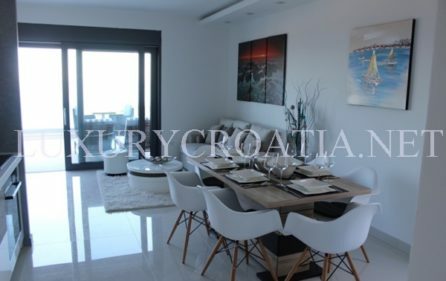 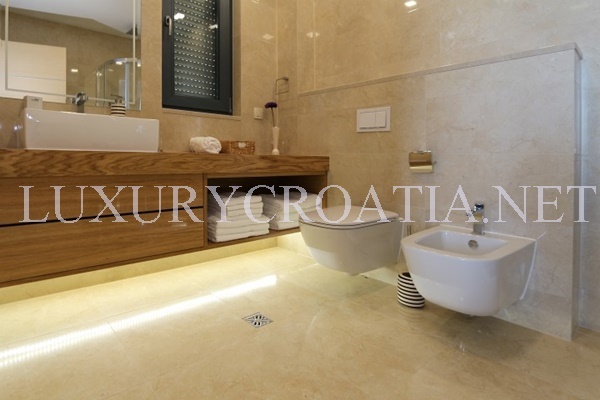 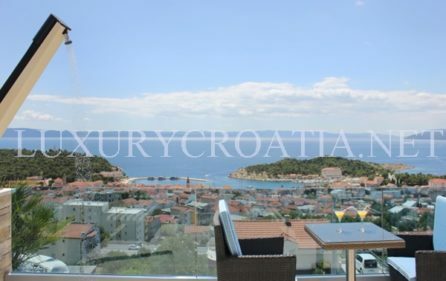 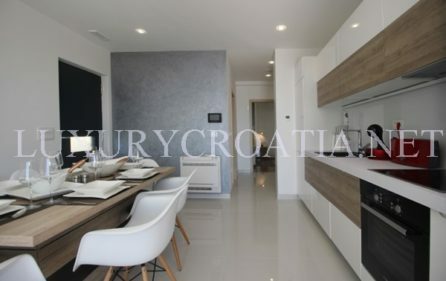 Inside of this seaview villa is fully furnished with modern design furniture and consists of three bedrooms each with its own balcony with a stunning panoramic view of the sea and Makarska city. 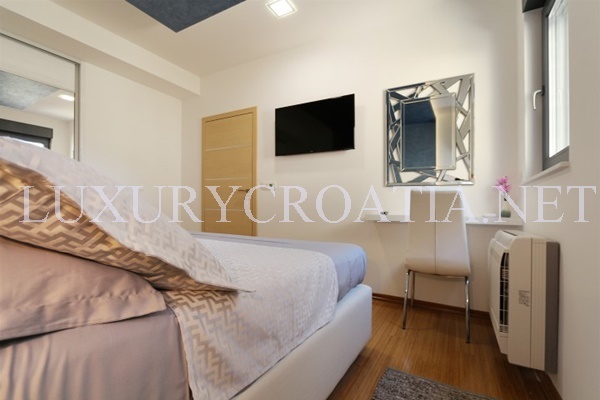 Each room has a satelite LCD TV and Wi-Fi. 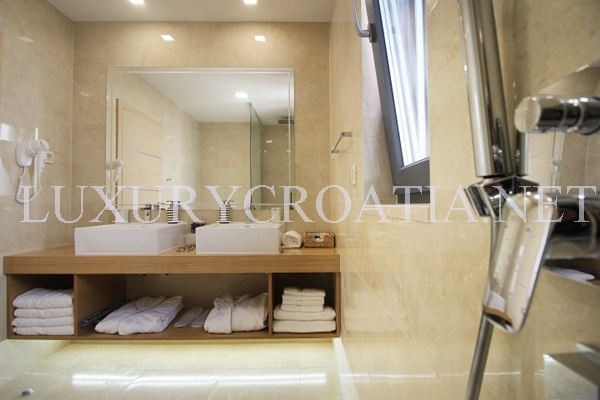 Villa has three bathrooms that are fully equipped with towels, hair dryers and a washing machine. The villa has a modern spacious living room and a fully equipped kitchen including a dishwasher, oven, microwave and a coffee machine. 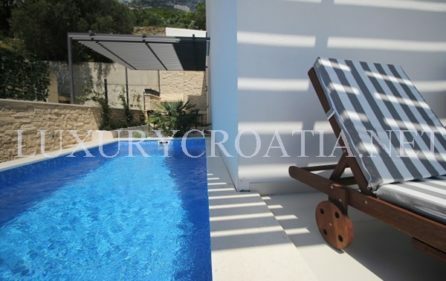 The villa has insured parking on the premise and is pet friendly. 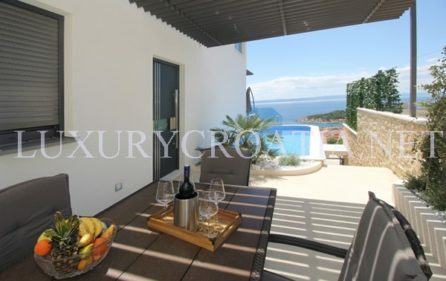 The guests can have grocery delivered as well as transfers to and from the airport. The vila has another part that is rented separately but can be rented as a whole on request.